The Blue Yeti pro is well known for its impressive audio quality. When you need a mic at definite distance of 6 to 8 inches from your mouth then Yeti pro can ensure right pick up and will deliver crystal clear content. But if you place it little away from 8 inches then it will lead to undesirable performance. Professionals call this device as a studio expert mic as it never cause disturbances in captured data, when you have quite surroundings. 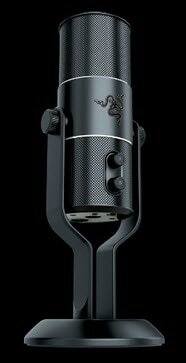 However, the price is quite high as you need to pay $230 to buy this mic. You can also find some discounts over websites. If you are planning to create a mixing board of your own style then Yeti pro can assist you with its XLR slots that are available on bottom. Recommended for impressive studio performance. It is not suitable for ranges above 8 inches. Razer Seiren is also a latest model in market but you need to make big payment to avail services from its impressive sound quality. Many users can find other suitable options with all required features in same price range. The best thing to know about razer seiren is that its hardware has a unique stunning design. If you are looking for something that can have rich features along with classy hardware then Seiren is best option for you. Razer will also suggest many ad ones for your device to make it more interactive but it depends all upon your requirements. If you are working with a higher end setup then you can use the XLR inputs from Seiren to achieve great results. It offers so many add-ons to improve functionality of whole system. Easy mixing options with XLR type inputs. Cost is very high so beginners prefer to go for other tools. There are so many interesting things to know about Yeti USB mics but the top most in the list are its low price and easy set up options. It can deliver you impressive sound quality for all your live streaming needs. While mounting this camera for your audio recording needs, prefer to keep it at right distance from mouth because poor placement will cause decay in quality. But after observing all the factors, Yeti is observed to provide loss free audio quality for live streaming and it stay tuned to better performance even with non ideal conditions. You will find foam padding at bottom of mic base that is designed to keep it safe at the time of vibrations. On the other side if we talk about shape and size then they both will meet your needs with better functionality. It offers impressive audio quality. It picks up sound from mouse clicks and keyboard too. At earlier stage, Technica 2020 was launched as a studio microphone but later as demand increased and situations changed then developers re-constructed it to serve as a USB microphone. It is price below $100 but the features are still quite useful. Professionals love its sound quality, that stays good even at high frequencies and it ensures delivery of strong as well as right tones. If you want to make quick adjustments then it is not possible to access the knobs for direct settings. Affordable mic with all incredible features. It does not possess any dedicated button for volume control hence makes adjustments little complicated. If you are curious enough to record your personal videos at home while maintaining the professional content quality then it is good to start with Samson Meteror Mic. This mic is observed to have largest diaphragm in condenser microphone category. It is equipped with advanced cardioid pickup pattern that assists in providing results with wide frequency coverage and smoother effects. 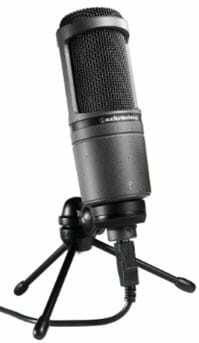 This well designed mic also possess 1/8” headphone output that can assists in latency less monitoring whereas a volume knob is available for easy sound adjustments. The mute switch will further assist you to manage your privacy during live streaming processes. The best part is that it does not require any additional sound driver unit hence you can start recording right after taking it out of box. 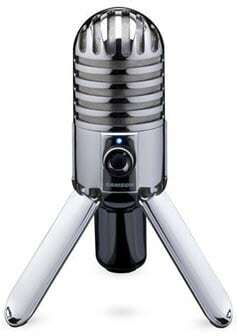 Users love the impressive structure of this Samson mic. Equipped with advanced cardioid pickup pattern to deliver professional sound quality. Volume knob provided for easy sound adjustments. This mic is shipped along with a carry pouch and USB cable that assists in easy connectivity. 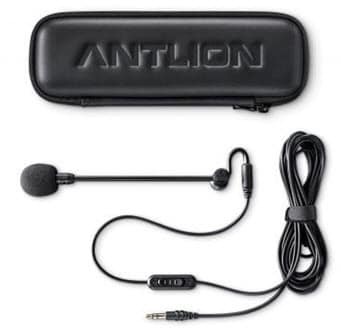 There are lots of applications over which Antilion Modmic can perform with great results. These microphones can be used only with headsets then only they can provide your desired performance but this feature is useful for people who use too much hardware with their PC. This device can be easily connected with so many mounts and it ensures delivery of clear voice with al dedicated arrangements. It can be adjusted over magnetic mounts as they allow easy adjustments. Antlion is commonly used for game streamers because it never picks sound from their keyboard and mouse clicks; in simple words it ensures better attention of viewers over your content as your activities are not causing disturbance to audio information. It offers easy usage while ensuring impressive performance. It will never couple noise from mouse or keyboard to your final recording. You need headphones to get better results. Lower performance on stands as compared to other mics; you need to make additional arrangements to ensure good content delivery from these devices.